More free toddlers activities to enjoy with your 1, 2, or 3 year old. For more ideas, we've got over 40 free toddler games to choose from. If you've got kids a little younger or maybe pre-k age, you might also be interested in Baby Games for infants during their first 12 months and Free Preschool Activities for those little ones just ready to go off to school. Get down on the floor with your toddler. Crawl ahead of him and tell him to come and get you. Act like you’re going fast, but always let him catch you. Then give him a chance to have you chase him. Try chasing with different types of movements like running, walking, jumping, and marching. Set up some obstacles to go under, over, or around while chasing. Darken a room and move a flashlight around so the light moves along the floor. Freeze the light on a spot and have the child run and stomp on it. Move it to another spot and let him do it again. Move the light around the floor and let him run and follow its pattern. Move the light around the floor and tell child to try and catch the spot. Shine the light on a spot on the wall and have him run touch the spot. Shine it on an object and have him grab the object and bring it back to you. Shine the light on an object and have him name the object. Give him a turn to shine the light. Get out a variety of pots, pans, and other containers the child can beat on with wooden spoons and other types of sticks. Make shakers by filling small containers with items like rice, beans, beads, buttons, and rocks. Find whistles and other items you can blow. 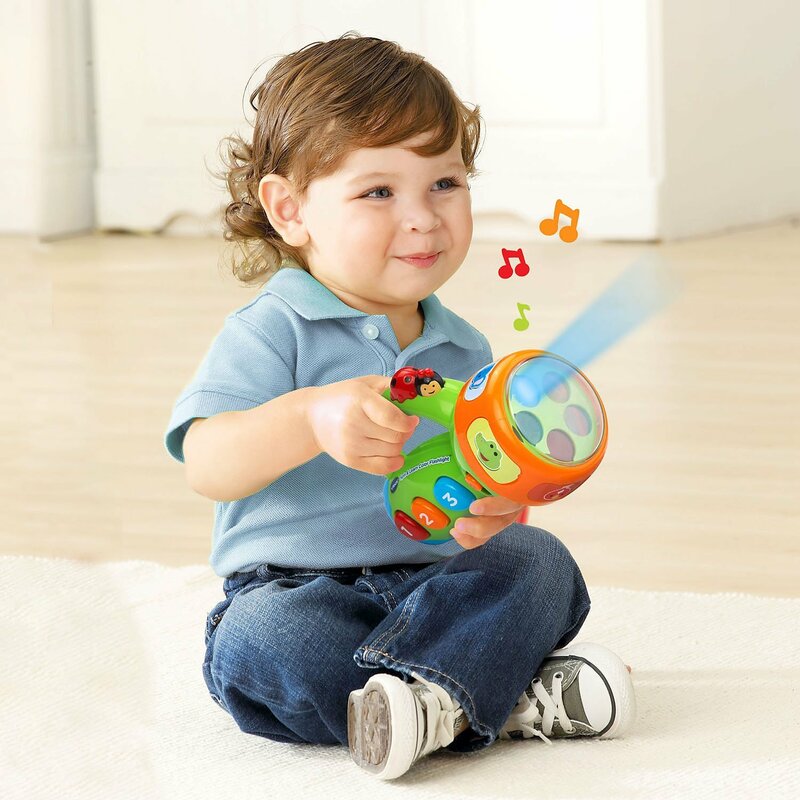 Put on some music or sing a song and play along to the rhythm. 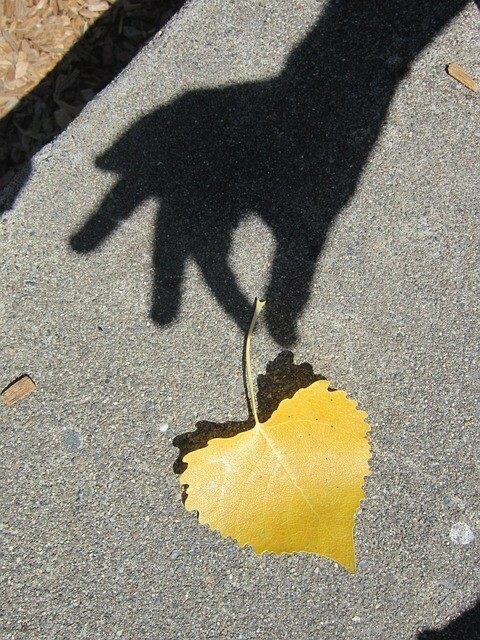 Go outside on a sunny day and look at your shadow. Make yourself big like a monster and pretend to chase your toddler. 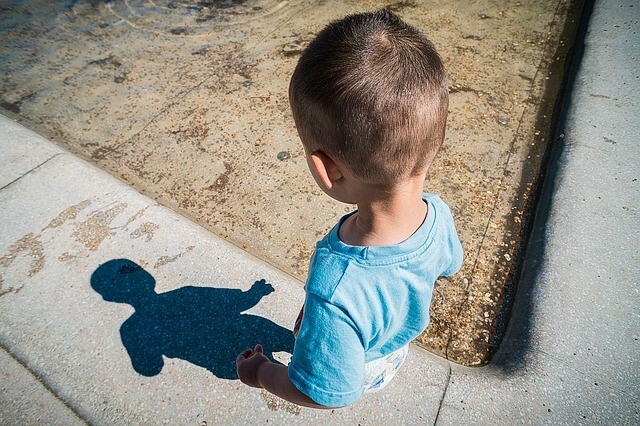 Tell your toddler to try to step on your shadow. You try to step on hers. Make your shadow big and little, tall and short, wide and skinny. Watch your shadow run and jump and twirl. Watch your shadow as you run around waving streamers. Look for shadows made by other objects and make it a game to run step on those shadows. 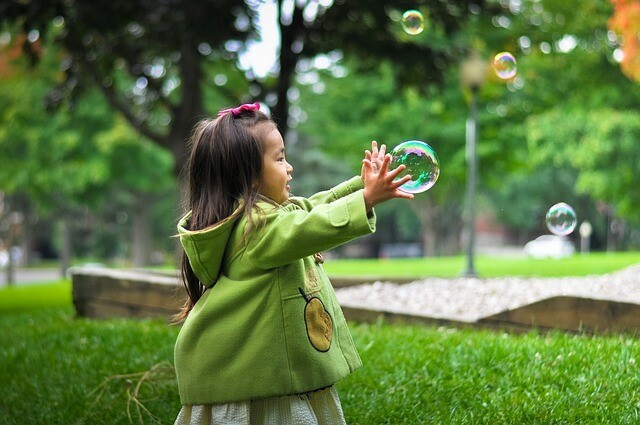 Everyone loves bubbles, and there are so many fun games you can play with them. Blow a bunch of bubbles and have your toddler run through them, trying to touch as many as possible. See if he can poke them with one finger, or pop them between his hands by clapping. Look up and let a bubble touch your face. Let a bubble land on different parts of your body like on your foot or elbow or head. Twirl around with your arms arms outstretched while standing in the middle of a bunch of bubbles. Try to catch a bubble in one hand or with both hands. 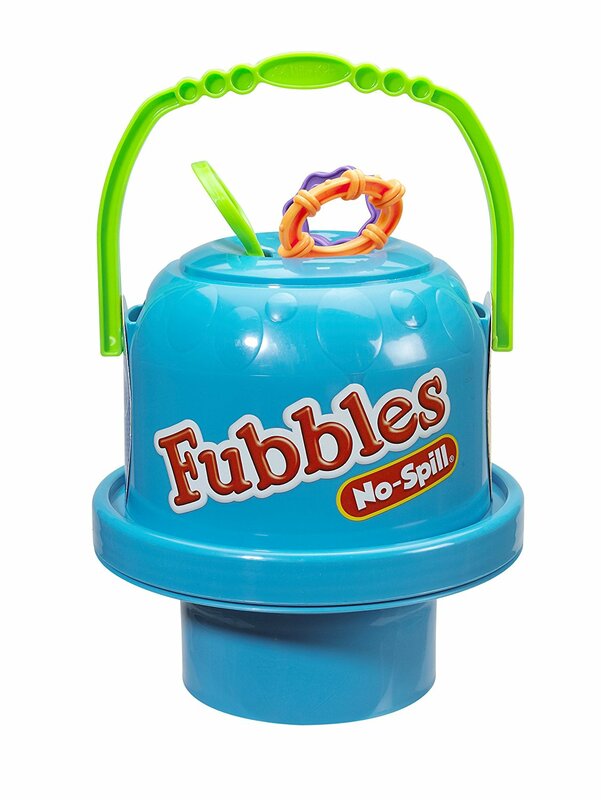 Give the child a wooden spoon, plastic bat, or foam paddle and let him hit the bubbles. Blow bubbles at him and have him to try to keep from letting the bubbles hit him. Keep a bubble up in the air by blowing underneath it. Have a bubble race by blowing a bubble out in front of you while you run behind it. Giving your toddler opportunities to experiment with different ways to move her hands and fingers is great for her fine motor development. Make sure you do each movement with both the right and left hands. Wiggle your fingers like rain is falling. Hold your fingers in circles and put them over your eyes like you’re looking through a pair of binoculars. Hold an index finger up on each hand and place them on your head like bunny ears and hop around like a bunny. Hold up all 5 fingers on each hand and hold your hands on the sides of your head like moose antlers. Make a fist with your hands and pound them. Clap your hands together and clap your hands on different body parts like your knees, shoulders, legs, feet, and head. Grab each other's nose using your thumb and index finger. Trace lines and shapes with your fingers. Pretend your finger is a crayon or paintbrush and pretend to color or paint an object. Give each other the "thumbs up" signal and wiggle your thumbs at each other. Poke each other with your index finger. Wiggle all 10 of your fingers and then use them to tickle each other. Let toddler untie your shoes. Play tug-of-war with a little rope or blanket or scarf. 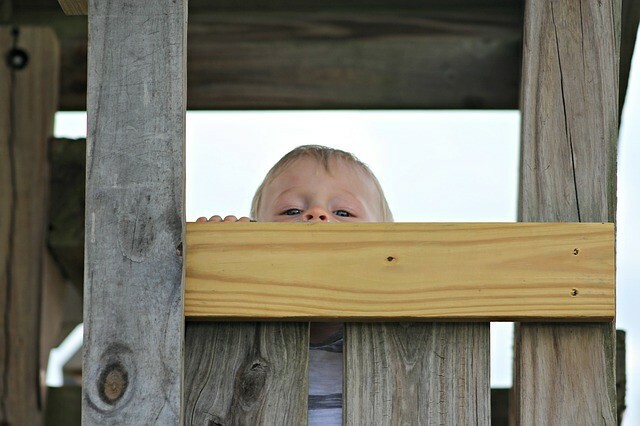 There are a variety of ways to play "peek-a-boo" with your toddler. Cover him with a blanket and pretend to look for him. Then quickly pull it off and say, "peek-a-boo." Put the blanket over you and let your toddler pull it off. 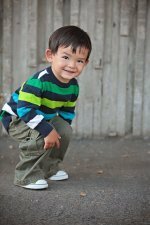 With your toddler on the bed, crouch down on the floor beside the bed and then slowly come into view. Peek around pieces of furniture or large stuffed animals. Peek around a door or curtain. Peek around your hands or place your child’s hands over his eyes. Every toddler may not be able to do all of these activities. Make sure to help out whenever necessary to make sure your little one experiences success. Provide plenty of praise when your toddler is successful. Let your imagination go. The more you are able to pretend and act silly, the more fun you will both have. Use your imagination to modify games using different objects.